I've declared my love for pizza on my blog very many times, with Yellow Cab's Manhattan Meat Lovers being high on my list of favorites. 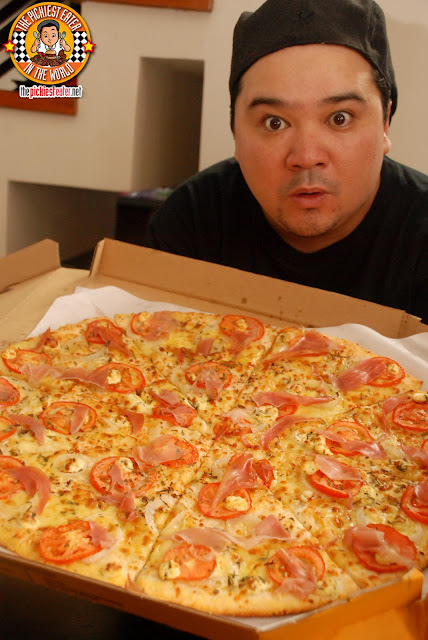 Unfortunately, due to my Hyper Acidity, Pizza to me is, like Kryptonite to Superman. Anything with tomato sauce has a crippling effect on me.. crippling in the sense that I'm practically stuck to in the bathroom all day (Totally worth it though). 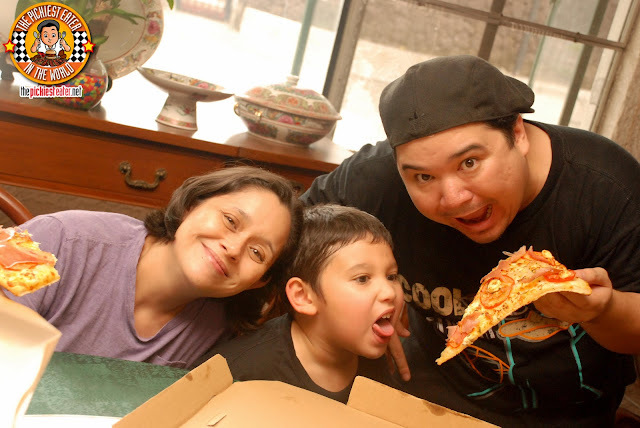 In celebration of their 12th year and the opening of their 100th Store, Yellow Cab recently released a "Sauceless Pizza", which they were kind enough to have delivered to my door step (Love you guys). The absence of the tomato sauce was the go signal I needed to go wild on a dish I love so much. But naturally, I was also curious about what exactly was on that pizza. Without further ado, I lifted up the lid and discovered for myself. Prosciutto. On a Yellow Cab Pizza. Whoever Mrs. Hudson is, I wish I sat beside her during Senior Year Calculus, because she's gotta be a GENIUS. Mrs. Hudson is a reference to the Hudson River in New York, as well as to the Landlady of Apartment 221B on Baker Street.. The home of Sherlock Holmes in the famous novels (Yes, Robert Downey Jr. Fans, Sherlock Holmes was actually a character from a series of books before RDJ made movies of him). She was probably quite the hottie in her day and Tony Stark would have definitely tapped that (Also a comic book character long before RDJ). As a heavy eater, I was happy to see that they sent me an 18' New Yorker Size Pizza (P845). "New Yorker" is a cute name, but the pie was so large, the name "New York Street Manhole Cover" might be more appropriate. It was seriously huge, I was considering to let Baby Rain use it as a blanket. 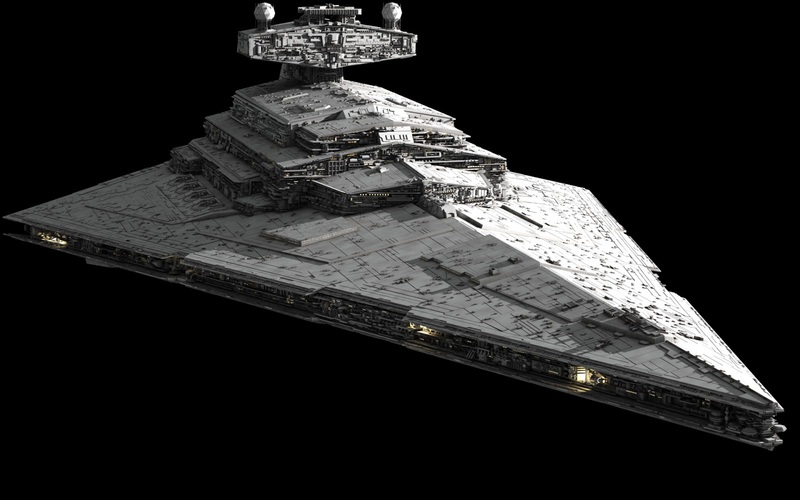 The pie was sliced "New York Style", making it look more like the "Imperial Star Destroyer" than a pizza. For those of you non-Star Wars geeks that have no idea what i'm talking about. Great, now every time I think of Star Wars I'm gonna crave for Pizza. I'm imagining Mrs. Darth Hudson in that ship telling me, "Richie.. I am your Mother..."
And I'll be all like.."NOOOOOooooo... Wait.. Does that mean I get Free Pizza.... MOM!?" Ok, so yes, this is a pizza devoid of any form of sauce, particularly, tomato. But there are fresh tomato slices on it, which made it easier for me to pick out and pile unto Rina's slice. Although I'll admit, I did try a bite of it with tomato just for the sake of it, I still prefer it without. I've raved about how much I love the Manhattan Meat Lovers in the past, so you know I'm not playing when I say.. This is the best pizza on Yellow Cab's Menu right now. I'll admit, Mrs. Hudsons' Pizza isn't the pizza that'll overwhelm your senses with a harmony of different bursting flavors. To me, each and every component does its job, and does it perfectly, making every bite of this pizza a near-spiritual experience. The generous helpings of prosciutto adds a dimension of saltiness that sets the tone to the flavors you're in for. The Herbed Boursin cheese then enraptures your taste buds with a delicate smoothness, with a hint of fragrance that is accentuated by the sprinkling of tarragon. Your journey is then punctuated by the presence of Caramelized onions, which added a sweet element to it, making it the unsung hero of this dish. 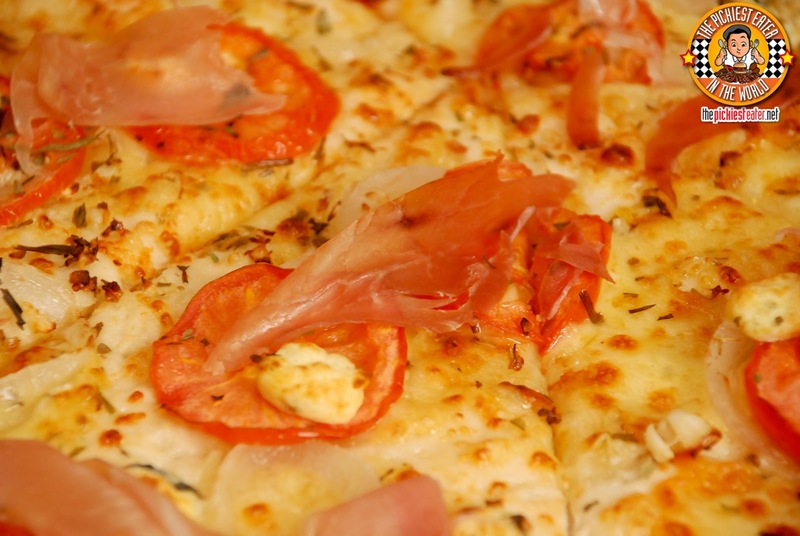 Prosciutto gets all the press, but don't discount what the onions do for the pizza. 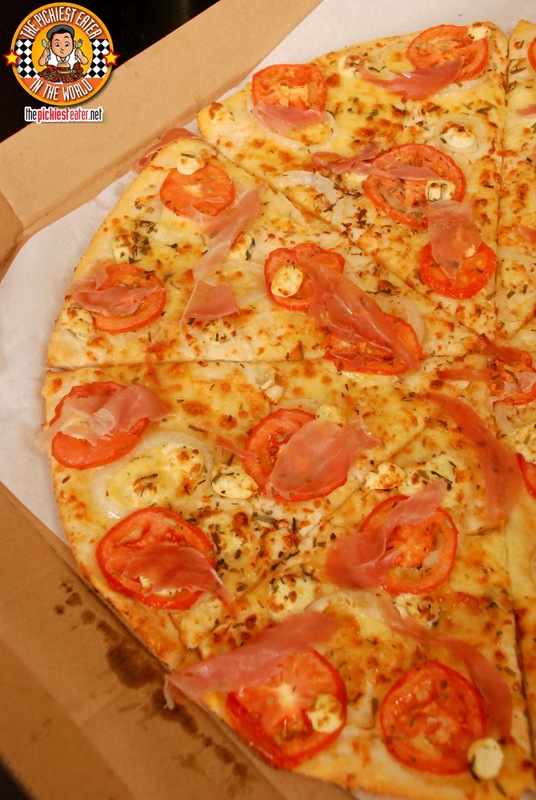 A swirl of different premium cheeses is added to what was already a mind-blowing pizza. 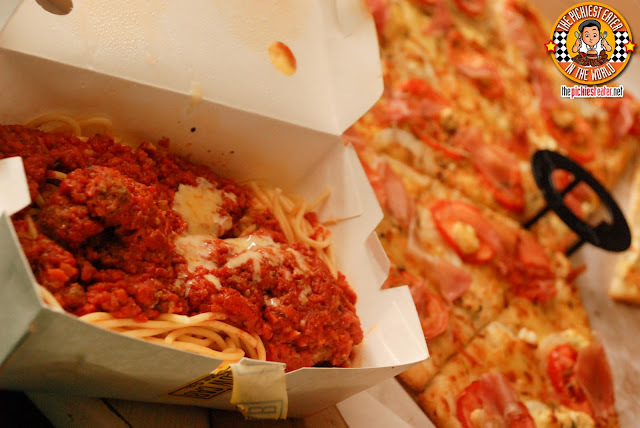 Yellow Cab suggested that their Sauceless Mrs. Hudson Pizza be paired with the robust flavors of their Spaghetti & Meatballs, and its rich tomato sauce. I get why this would be a good match, but because of my hyper acidity, I still prefer the Chicken Alfredo Pasta, but my all time favorite has got to be the Charlie Chan Chicken Pasta (Although its a hyper acidic's no-no). Nonetheless, Rina and even Baby Rain enjoyed this immensely. And dang were those huge meatballs. My nephew, little Gael (Those of you who have been following my blog since the beginning might recognize him as the little boy that believed he was Spiderman during our lunch at King Bee) is a little Pickiest Eater In The Making (His mother blames me.. Kinda hard to argue cuz she and her hubby eat virtually anything) and absolutely loved the pizza as well. In fact, my entire family did! Till that day comes, I seriously suggest you try it now while it's still available! I would have to agree with quake on this one: the pizza is quite sweet, and the thing is I LOVE sweet things! (kaya diabetic, hehehe). The flavors are a bit one dimensional. But I agree with you with the charlie chaplin thingie (hahaha) pasta - my absolute favorite in yellow cab! Haha Charlie Chaplin pasta rules! Bro share your blog post here if you write about it! The pizza looks absolutely good! Wanna try it soon. So funny! 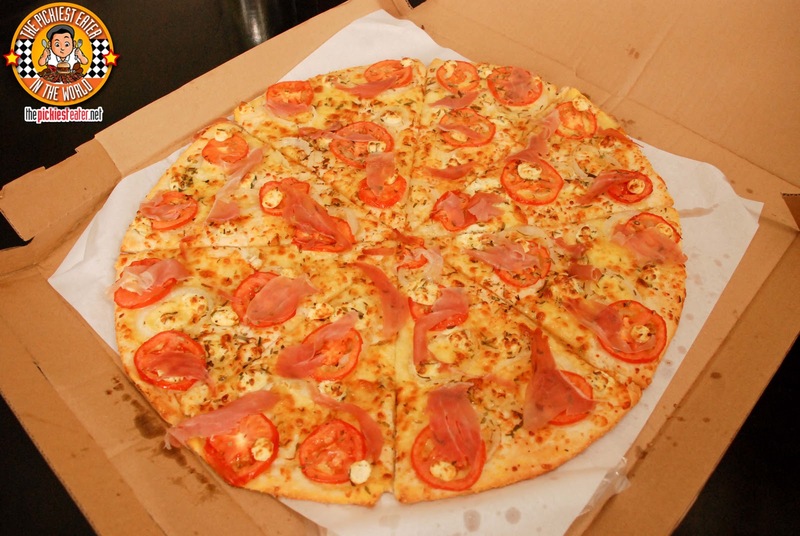 Interesting this pizza I want to taste ASAP to see more..midway taxi If you are looking for a reliable and affordable airport taxi or transportation, we highly recommend that you use My Personal Taxi. We are serving the Chicagoland area for over 7 years.